Here's our team defense rankings for the 2015 fantasy football draft. I've always used rankings to gauge the "hotness" of a team defense and almost always draft one above average defense to start the season and then use the waiver wire to grab one more to use based on match-ups. We will update all of our draft rankings as needed until the start of the 2015 NFL season. Stats, projections, bye weeks, strength of schedule, auction value and more can be found inside our premium draft cheat sheets. 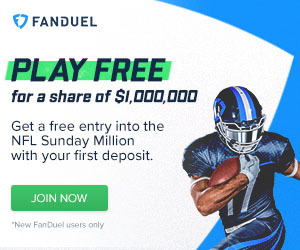 Membership includes access to our DFS optimizer too! There are a couple of no-brainers here: Seahawks, Texans, Jets; these should all be defenses that will force turnovers and score some points. I think that the Cowboys will be a bit better than projected this year. The pass rush should be improved, but the secondary is still bad. Speaking of bad, don't draft the 49ers based on the past. They have lost a ton of key pieces and should be one of the worst defenses in the league. The Texans need their defense to be top ranked this year if they want to go anywhere in the post season and I think they will do just that. The Saints are ranked 12th due to two defensive coordinators on staff, Rob Ryan and Dennis Allen are both great defensive minds and should make the Saints defense relevant on your bye weeks.